Winter is approaching in the northern hemisphere. How do our seemingly fragile birds cope? We say that birds and mammals are warm-blooded, but that’s a misleading term. A desert iguana sitting on a rock in the sun can tolerate a body temperature of 1150 F (460C), but lizards are cold-blooded- their body temperature varies with the environment; they are “poikilothermic,” meaning variable temperature. Warm-blooded means that birds’ temperature is moderated by physiology to a narrow range. They are “homeothermic,” meaning stable temperature. Homeothermy allows birds to exploit habitats with extremes of temperatures. There are temperatures at which we humans are comfortable and those at which we shiver or sweat. The range of comfortable temperatures is our thermoneutral zone (TNZ). All birds and mammals have a TNZ, the range of ambient temperatures at which their metabolism is stable. Above and below the TNZ birds have to expend additional energy to cool or warm themselves. Since birds can acclimate somewhat, the thermoneutral zone changes with the season, latitude, local conditions, and species of bird. For example, the thermoneutral zone of the tiny Green-backed Firecrown (hummingbird) is 55-820 F (13-280 C) and the Ostrich 50-1220 F (10-500 C.) The TNZ of the desert-dwelling Gambel’s Quail 86-1110 F (30-440 C), and the Adelie Penguin 14-680 F (-10-200 C). As winter approaches, many birds increase their body fat for energy storage and insulation, and add down feathers. The Common Eider, a northern sea duck, increases its insulation 25 percent for the winter. When molting in the breeding season the eider uses its down feathers for lining its nest. ) The Rock Ptarmigan puts on extra fat, almost doubling its weight that fat and making its body 8- 30 percent more insulation-efficient. For the same reason, American Robins increase the number of their feathers by 50 percent as winter approaches. I was once asked about pregnant birds. After I thought a bit, I realized the inquirer was looking at a bird that had fluffed its feathers, giving it an apparently larger body. Generally, a moderate amount of fluffing traps sufficient air to form layers and increase insulation value by 30-50 percent. European Robins sing more when they greet the dawn with a higher body mass than a lower one. After a cold night, which required them to use their fat stores, the birds were less apt to sing at sunrise. Male Black-capped Chickadees, experimentally fed supplementary food, sang more at dawn than other male chickadees. 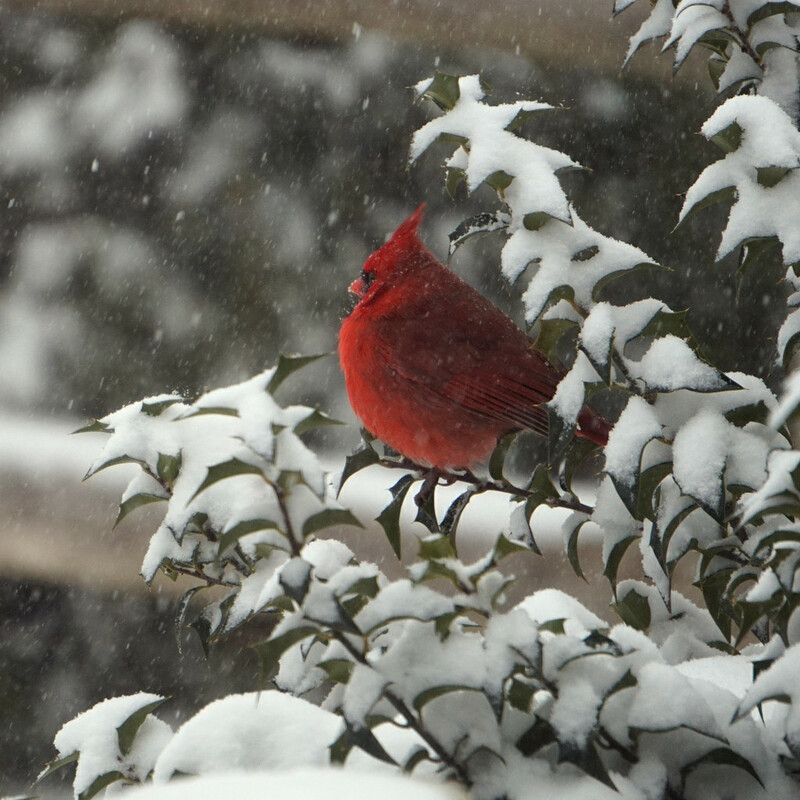 Of course, the birds that migrate don’t have to deal with extremes of cold. Migration may be shorter than the winter season, but it’s equally challenging.